The expert also noted that Russian President Vladimir Putin is considering the peninsula (as he repeatedly said) as a fortress, as an "unsinkable aircraft carrier in the southern part of NATO". Reference: Russian Federation occupied the Crimea in February-March 2014, calling the rigged referendum on March 16 as "the will of Crimeans regarding the joining to Russian Federation". Most countries of the world did not recognize Crimea as Russian territory and imposed a number of economic sanctions. 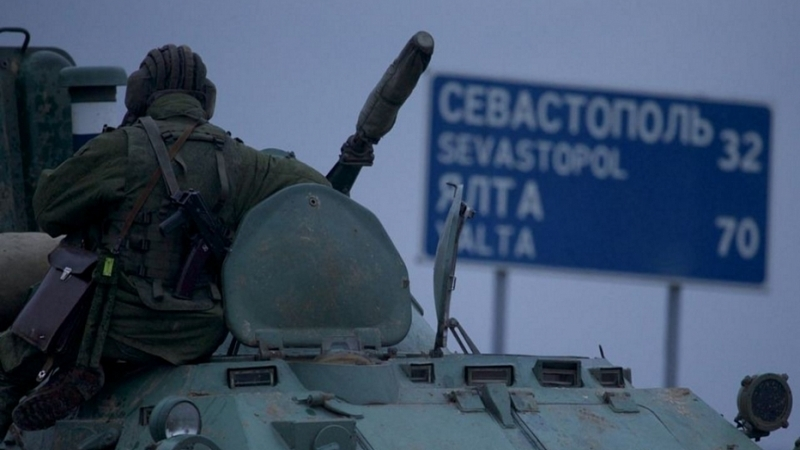 Crimea remains a temporarily occupied territory for Ukraine. The Verkhovna Rada of Ukraine officially declared February 20, 2014, as the beginning of the temporary occupation of Crimea and Sevastopol by Russia. October 7, 2015, the President of Ukraine Petro Poroshenko signed the relevant law. Mass persecution of the Crimean Tatars and Ukrainians, disloyal to the new "authorities" began immediately following the annexation in the Crimea.